You may not realize you are glued in front of your gadgets more and more everyday. Recent studies conducted by AIA Healthy Living Index show that Malaysian adults spend on average 4.1 hour/day on non-work purposes. That is 1.1 hour more than the average of 3 hours/day for the region. On the other hand, Malaysians spend on average 2.6 hours/week exercising, and that is below the average of 3 hours a week of exercise time recommended by fitness expert. Now, it is pretty obvious there can be a positive shift in our daily habits that can help improve Malaysians state of health. We can make small steps of positive changes by shifting 30 mins/day on the screen to working out. Yes, pivot the hours to working out. Sleep Deprivation : Malaysians adults are not sleeping enough with an average of 6.3 hours / night, 1.2 hours below desired sleeping hours of 7.5. Declining health condition : 68% of Malaysian adults feel their health is not as good as it was 5 years ago. 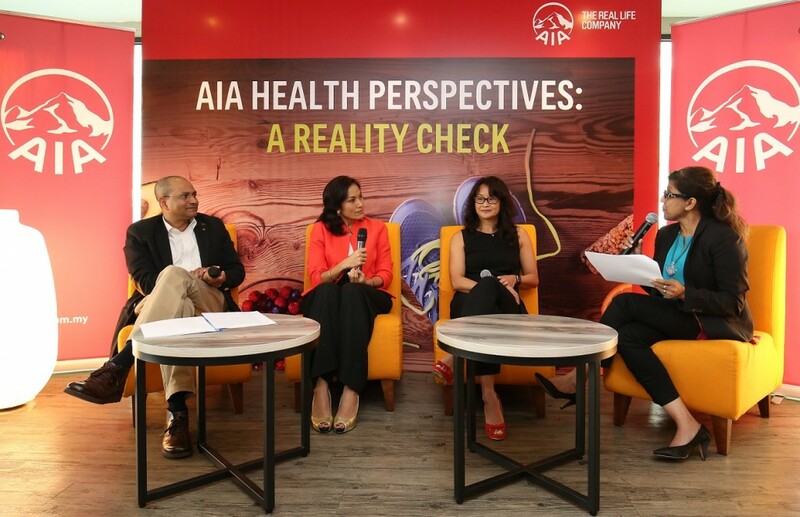 Thomas Isaac, Director of Intuit Research | Indra Balaratnam, Consultant Dietitian | Jacqueline Wong, Head of Learning & Development, Fitness First Asia | Dr Myralini, AIA Health Services Sdn. Bhd. Healthy diet and Exercising are equally important! Reduce eating out. Prepare healthy food. It is cheaper and healthier. The study was launched in 2011 by AIA Group, to understand how people feel about their health and the extent of their health habits, as well as their concerns and hopes for a healthier way of life. Conducted by TNS, an independent, global research company, each survey involved interviews with over 10,000 adults 18 years or older (including 751 adults in Malaysia) across 15 markets : China, Hong Kong, Macau, Singapore, Malaysia, Thailand, Korea, Taiwan, India, Indonesia, the Philippines, Vietnam, Australia, New Zealand and Sri Lanka. 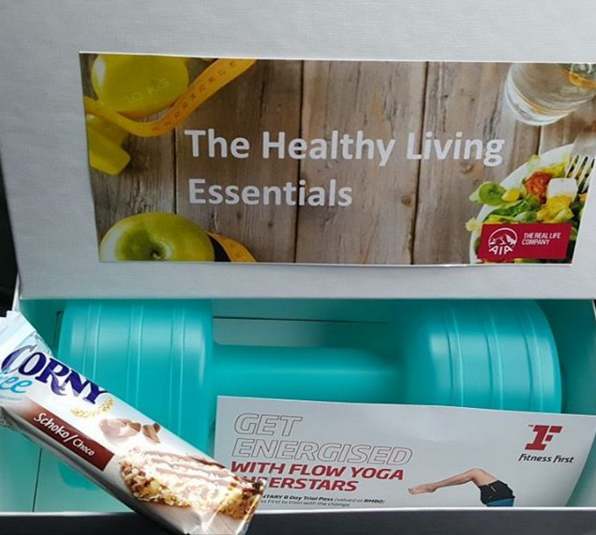 I like these goodies useful for body toning; Dumb bell water bottle #ilike, Corny Nutrition bar and Fitness First voucher for yoga #ilike. Thanks AIA! Let’s make small steps for positive changes. Eat healthy & exercise everyday. It takes effort but make the small steps until they become habits. Take the advises from the panel experts and turn them into actions! “You cannot buy your health; you must earn it through healthy living” Joel Fuhman. He is an American physician and speaker who advocates micronutrient-rich diet.